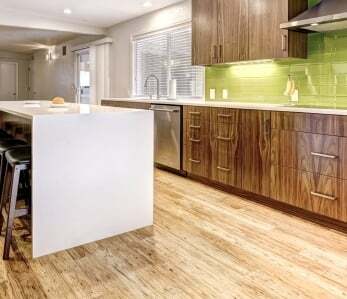 In recent years more and more homeowners have switched to greener flooring options. Traditional flooring, such as carpet and vinyl, are now known to give off dangerous toxic gases within the home. Not only that, but these flooring materials are harder to maintain, encourage mold, dust and bacteria, and don’t last as long, which means they end up in landfills more often than not. 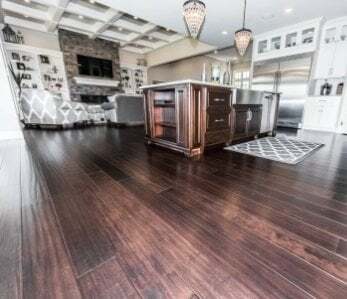 Because of these environmental and health hazards, new flooring options are flooding the market which provide safer materials made from renewable sources that last for years. 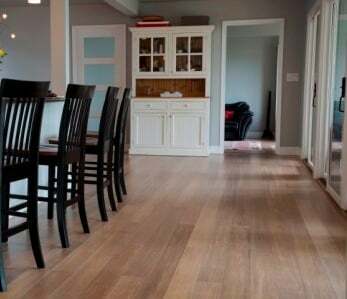 Here are some sustainable floor choices for your sustainable home. It’s not just for the basement anymore. Concrete is a great green flooring option. It’s quite inexpensive, very easy to maintain, unbelievably durable and really versatile. It can be stained practically any color, as well as scored and textured making it look like tile, brick, slate or even granite. Concrete is also fantastic at offering thermal mass properties and can be used to maintain a consistent internal temperature in your home. Ceramic tile is very beautiful and durable. While it does take quite a bit of energy to produce it, this is offset by the fact ceramic tiles last for years and years. They come in a wide variety of colors, textures and sizes, and are super easy to maintain. Some tiles are now even made from 100% recycled glass which not only makes them environmentally-friendly, but also more durable and more resistant to stains and moisture. Ceramic tiles have thermal mass properties similar to those of concrete and can help stabilize the temperature in your home. Often confused with vinyl, linoleum is actually made from renewable, natural raw materials such as linseed oil and pine rosin. 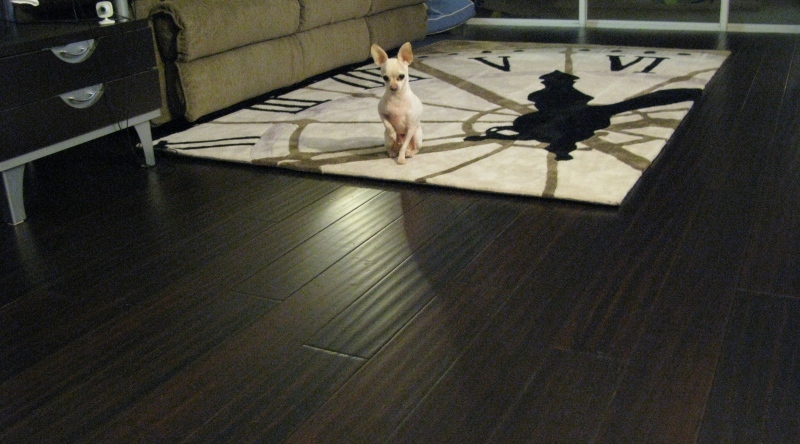 It is a durable flooring option, easy to maintain and comes in a vibrant color palette. Unlike vinyl, linoleum won’t release toxic chemicals, won’t melt, is hygienic, naturally anti-static and resistant to dents and scuffing. Cork is a natural product manufactured from the bark of the cork tree. It is sustainably-harvested, meaning it can be harvested every nine years without harming the tree. The cellular structure of cork makes it impermeable, resilient and a great option for thermal as well as sound insulation. It’s water resistant, fire retardant and comes in distinctive patterns and colors. For those that love the warmth of carpeting but don’t want the harmful chemicals that come with it, you may want to consider wool carpets. Wool is very durable and naturally flame resistant. It’s natural moisture content reduces static electricity (no more nasty shocks in winter months). Wool is also non-allergenic and deters bacterial growth which is quite common in ordinary carpeting. If you love the look and feel of hardwood but don’t like the idea of cutting down trees that can take up to 30 years to regenerate, consider bamboo. It offers the same benefits as wood, although it is not wood, but a grass that can renew itself in as little as five years. This means you can have beautiful floors while helping sustain old-growth forests. 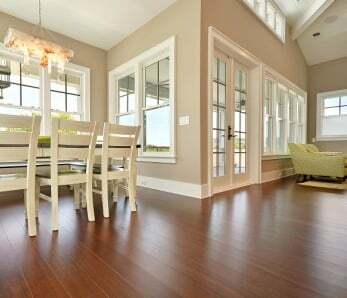 Bamboo last a very long time and is harder and more durable than red oak – which is pretty darn hard. 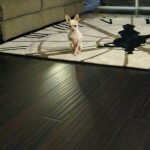 Oh, and it is than hardwood as well, which makes it an excellent flooring option. 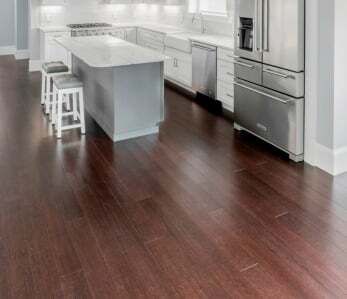 If you’re in the market for new flooring and prefer to purchase materials that are made from sustainable sources so you can keep you and your family healthier, consider the choices we’ve listed above. You can’t go wrong when you go green.